If you’re a shameless chocoholic and can’t pass up chocolate anything, you’re going to go crazy over our sweet new Chocolate Soap Bath Bar. 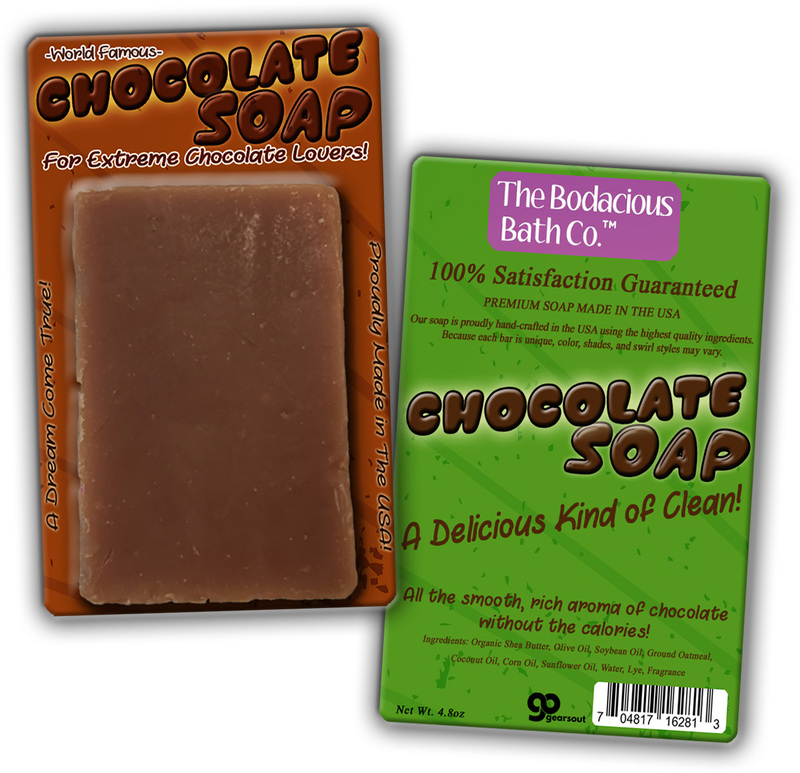 While it’s not edible, it is the perfect way to start your day…bathing in chocolaty goodness! 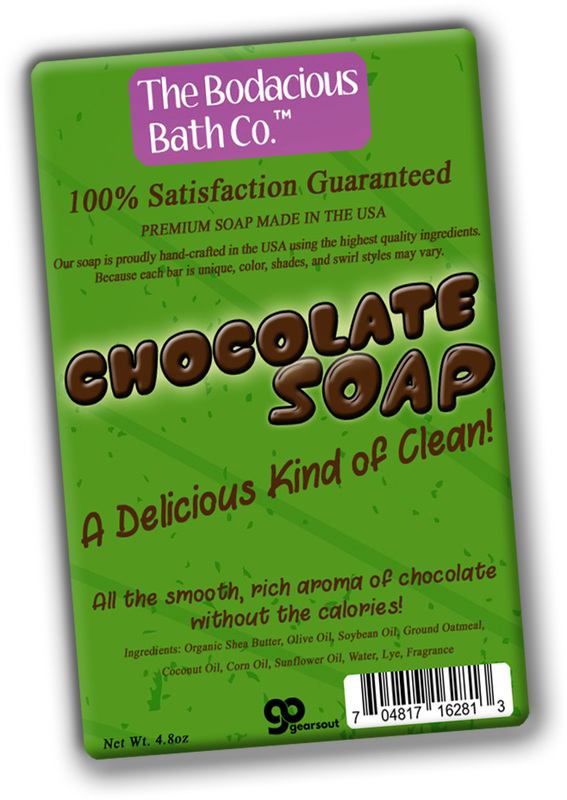 This handcrafted bar soap is jam-packed with the rich fragrance of a decadent chocolate treat without all those pesky calories. And, as a bonus, you’ll step out of the shower smelling absolutely delicious! 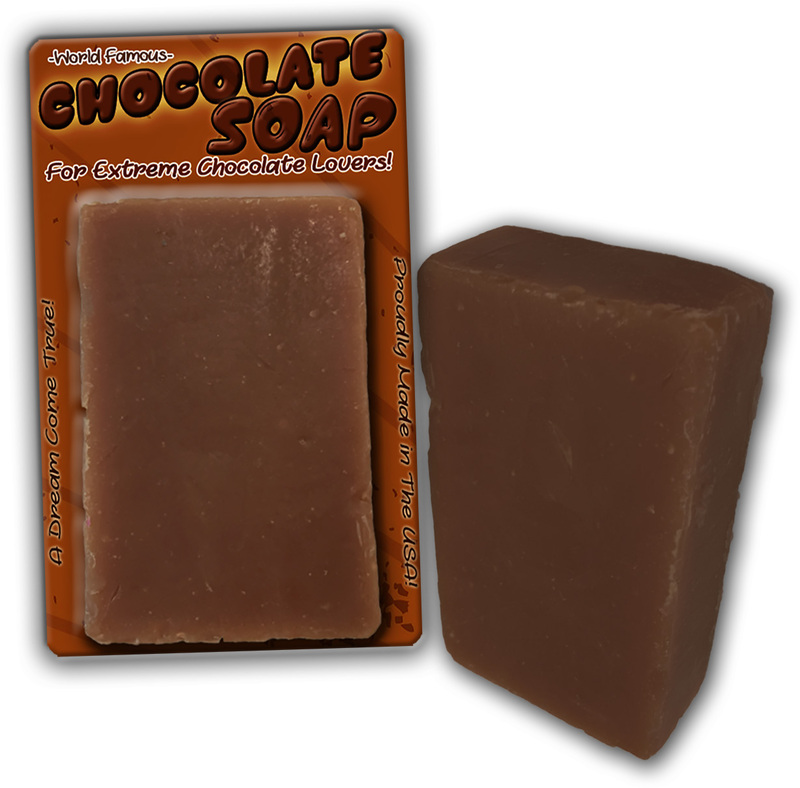 Exactly what every chocolate lover wants…more chocolate! 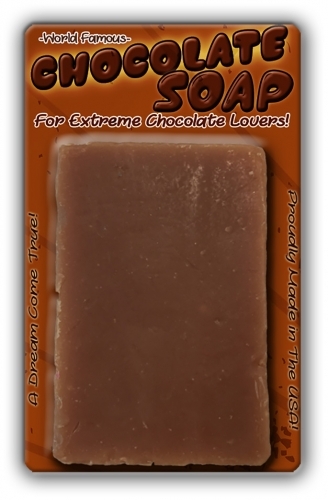 Chocolate Soap is a fun gag gift for anyone who enjoys the delicious treat. This cute gift for friends, family, and coworkers is a delightful surprise addition to chocolate gift baskets, care packages, and birthday gifts. Slip a bar of this awesome pampering gift in as a fun stocking stuffer or wrap it up as a unique Secret Santa or White Elephant present.